This week, MoDOT will announce the official opening of the new bicycle/pedestrian Missouri River crossing at the Daniel Boone Bridge (I-64/40 connecting St Charles and St. Louis Counties). The Boone Bridge is a very important connection for the state's bicycle and pedestrian network and we are thrilled to have this new trail connection open for use. The Boone Bridge bicycle/pedestrian trail connects the Monarch Chesterfield Levee Trail on the south side of the river with the Katy Trail on the north side. This is a very important connection for local, regional, statewide, and national trail and bikeway systems, because the nearest crossing points are 11 miles downstream at St. Charles and 54 miles upstream at Hermann. The connection is important to the local trail systems, the regional Great Rivers Greenway River Ring system, the Quad-State Trail System, the Katy and Rock Island Trail systems, and several national bicycle touring routes, including the Lewis and Clark Bicycle Route, Great Rivers South Bicycle Route, and the American Discovery Trail. This year, the Missouri General Assembly took a historic step by authorizing $20 million in multi-modal transportation funding. 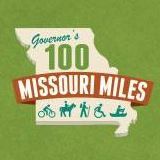 This is, as far as we know, the first time in history that Missouri has allocated state transportation funds that have the flexibility to be used to meet any and all of Missourians' transportation needs--whether those by motorized, walking, bicycling, public transit, or some combination of all of those options. Missouri has traditionally funded highways through the fuel tax and given a small amount annually towards transit and special individual projects. The state fuel tax provides the vast majority of state transportation funding and it is restricted to use on state roads and bridges. No state funding has been available for MoDOT to use on vital bicycle and pedestrian connections on state roads that cut through our cities and connect the state. That means that no state funding has been available for the most typical type of transportation project in 21st century Missouri--a road project that includes elements for motorized transportation, for walking, for bicycling, and for public transit, all wrapped up in one project. Recently Reid Cranmer, who started an online petition opposing the infamous ATVs on the Katy Trail bill introduced in the Missouri House this year, paid a visit to Jefferson City to present the petition, with over 5000 signatures, to leaders in the Missouri House and Senate. Cranmer, formerly chair of the Missouri Bicycle Racing Association (MOBRA), is a member of the Missouri Bicycle & Pedestrian Federation Advisory Commission and is planning to run for MoBikeFed Board in August. Cranmer presented the petition to House Speaker Todd Richardson, Senate President Pro Tem Ron Richard, and several other key Senators and Representatives, in meeting arranged by the Missouri Bicycle & Pedestrian Federation. There was only one Legislator, from the Cape Girardeau area, who expressed their support for HB 2047. All other lawmakers I met with gave me their support to keep HB 2047 off the floor. I also met with Senators. We want them to keep an eye out for HB 2047 in an amendment process to a SB. Senators haven't really heard of HB 2047 but Sen. Bob Onder said he would make sure to kill any HB 2047 amendments. Today another important piece was added to the planned 500-mile cross-state Rock Island/Katy Trail system. Jackson County, KCATA, and Union Pacific held a ceremony today to complete the purchase and sign the deed that finalizes the County's ownership of the corridor. "Today we will purchase the Rock Island Corridor," said Jackson County Executive Frank White, Jr. Former County Executive Mike Sanders, who has worked over the past several years to bring the deal to completion, spoke about the economic benefits of the upcoming trail and transit connections to the adjoining communities. Robbie Makinen of the KCATA and representatives of Union Pacific also spoke. This is a historic day for Jackson County and for trails in Missouri--one many people have been working many years to bring to reality. Work in the county's 17.7 mile portion of the Rock Island Trail will begin immediately and be completed in the next few years. This segment will connect with the 47.6 mile Rock Island Trail state park segment that brings the connection to Windsor, on the Katy Trail--and segment that will be open later in 2016. Our annual Bicycle and Pedestrian Day at the Capitol is Monday, April 11th, 2016. We know that most of our members and supporters can't make it Jefferson City in person for Capitol Day. So how can you help? By calling, writing, or emailing your own representative to reinforce the message we will be taking April 11th. March 21st, Warsaw, Missouri adopt a Complete Streets policy. Warsaw's policy is the 29th Complete Streets Policy in Missouri and one of the first adopted by a smaller rural town. Warsaw is a town of 2100 in rural Benton County, Missouri. Warsaw joins an elite group of Missouri cities who are setting the standard for livability, connectivity, and community health by adopting Complete Streets policies. 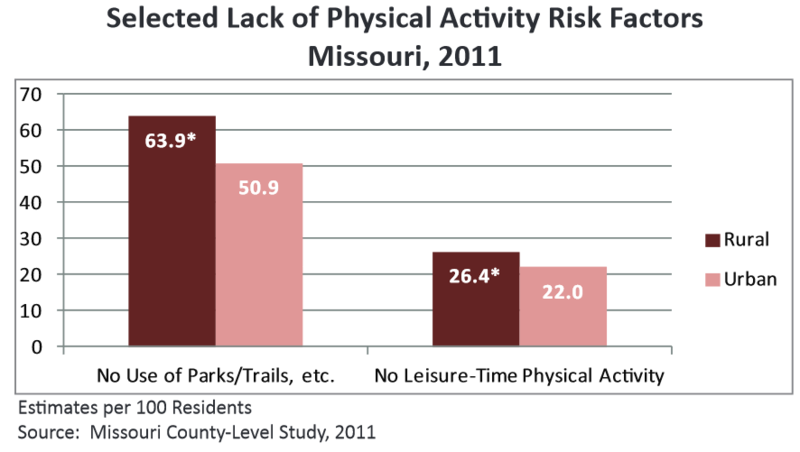 When we mention to Missouri elected officials and staff that millions of Missourians walk, run, bicycle, and use trails regularly, we often see a look of disbelief. Uh, yeah. Millions. These are far from the fringe--they are activities enjoyed regularly and valued highly by the vast majority of Missourians. UPDATE 12 APRIL 2016: Sign the petition opposing ATVs on the Katy Trail - we'll present it to the Missouri House Speaker and Senate President Pro Tem. UPDATE 7 APRIL 2016: Today the ATVS on the Katy Trail bill PASSED its second committee vote in the House. Next major legislative step is a vote in the full House. Even if you previously wrote your legislators about this bill, PLEASE WRITE AGAIN NOW AS OUTLINED BELOW--your Representative needs to know that this bill is headed for the House Floor so that they can start to organize opposition. Your Senator needs to know there is a real chance the bill will pass the House & appear in the Senate now. The article below has been extensively edited from its original publication and now contains updated information about HB 2047 contents, amendments, and progress through the legislative process as of 7 APRIL 2016. In 2016, bicycling, walking, parks, and trails are moving forward in Missouri in a way they never have before--a vast improvement from the 5, 10, and 20 years ago. But the improvements we see across Missouri are not yet universal. We see many parts of the state where the relatively new movement for vibrant, liveable, walkable, bicycleable communities has taken hold very well--but many others where it has not yet taken hold. We are just in the third week of Missouri's 2016 legislative session, and already we have seen a number of bills introduced that are important to people in Missouri who walk, bicycle, and use trails. Another major issue in 2016 is the state transportation funding shortfall. Missouri's dramatic underinvestment in transit, walking, and bicycling harms the ability of our communities, large and small, to compete in today's global marketplace--but all proposed solutions address highway funding only. Back in March 2015, we asked you to contact members of the House to ask for their support for bicycle roll-on on Amtrak rail cars. In July we reported that similar language had been adopted in the Senate. But of course, neither of those is the final passage of the bicycle roll-on language. So what happened next? Was it ever actually passed into law? One reason we ask you to weigh in with your members of Congress when we have opportunities early on in the legislative process, is because that is where issues like these are won and lost. Just one or two key supportive members of Congress in each Chamber working on our behalf in an early hearing, and we have the language we want in the earliest legislative drafts in both the House and the Senate. Then, when the full bill moves forward--often months or even years later--our hard-fought issue moves with it.